You might have heard people say that a cluttered house leads to a cluttered mind. Well, the same goes for your finances. So, if you want to stop worrying about money then here are some suggestions to help you clean the financial slate and your headspace. Sort out your regular expenses. The best way to clean your financial slate is to sort out your regular expenses. Get back to the drawing board and think of smarter ways to spend your money. You don’t have to make cutbacks, however. Think about your groceries. You could use vouchers to save money or start growing vegetables in your back garden so you don’t need to buy them anymore. You could keep your house just as warm by insulating the windows rather than turning up the thermostat; that’d reduce your energy costs. You should also think about the monthly bill you face from your current phone provider. You might want to check out Boost Mobile phones for prepaid plans as opposed to postpaid plans. You could save yourself a lot of money and still get the same coverage. At the end of the day, that’s the key to sorting out your regular expenses. It’s about finding ways of buying the same things for less money. If you do your research then it’s easier than you think. You might also want to start using financial apps to help you keep your monthly expenditures organized. If you struggle to maintain a clear and structured budget then this could be the perfect way to ensure you spend within your means. You wouldn’t have to worry about getting the math wrong. 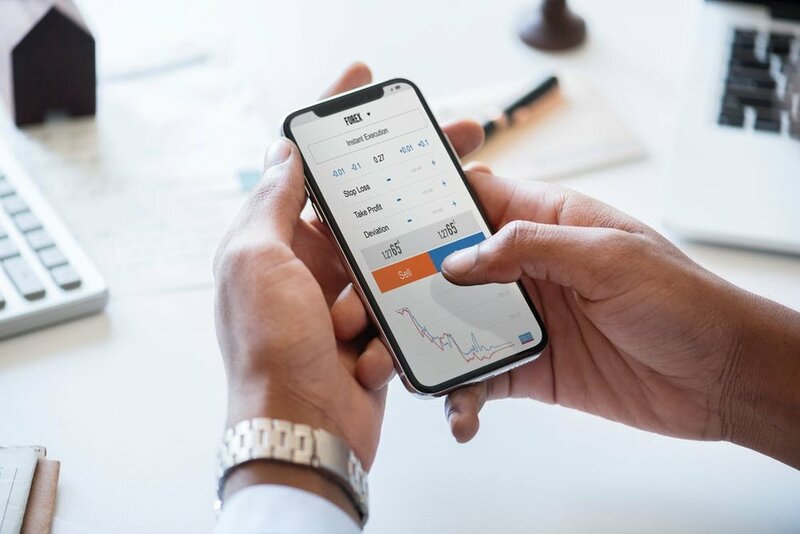 Additionally, apps can help you spend your money more wisely too; investment opportunities are always worth pursuing if you want to improve your long-term wealth. It’ll give you additional income on top of your existing salary. But we’ll talk more about the financial “long game” in the next point. Obviously, every financial decision you make has an impact on your future, so that’s probably always in the back of your mind. But if you want to really tidy up your finances and feel more confident about your money management then you should always be thinking about your financial security in the future. 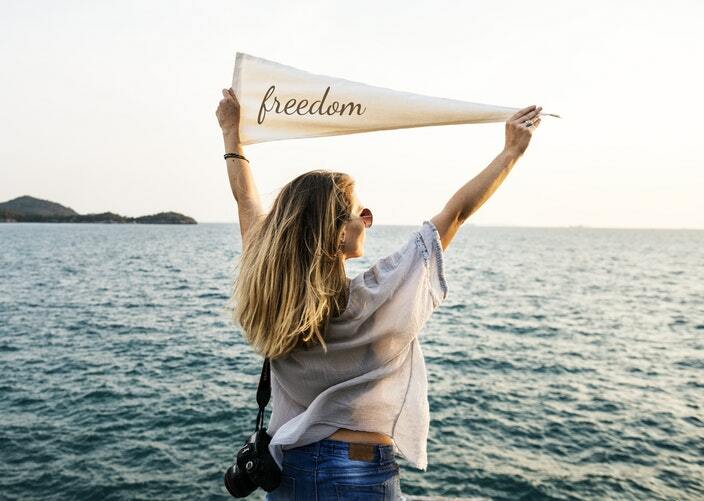 You might have a grip on your financial situation in the present day, but are you setting aside enough money for your retirement or whatever other expenses lie for you? You might think it’s too early to start thinking about that, but it’s never too early to start saving up. The sooner you start, the more wealth you’ll have acquired for your first house, a college fund for your kids, or even your retirement. If you’re still in your twenties then those ideas might hurt your head, but you’ll thank yourself for making preparations early in life. You should also think about aspects of the future you can’t control. Starting a pension for your retirement is a safe and well-considered decision to make because you know you’re going to retire one day. But what about the costs that you can’t predict? Everybody faces unexpected hurdles such as car breakdowns or household damage. If you’re not prepared for those costs then it can end up taking a huge chunk out of your earnings and messing up your well-planned budget. So, your budget should always account for the unexpected. You should frequently set aside some of your savings for miscellaneous expenditures. You can call this your emergency fund. Although the weather is cooler in many parts of the country, that doesn’t mean you still can’t spend time outside and in your garden… especially in many southern cities as well as California. Planning an outdoor party for this season may seem challenging, but I'm here to help. Start with a plan. Grab a pen and paper and let’s go. First things first. You need to tackle the garden. Decide whether you’re up for the challenge or whether you need to enlist some help. This could be in the guise of friends or a professional gardener. If you’re doing this yourself, then start by raking up twigs, leaves and any rubbish. Next mow the lawns and tidy the borders. Make sure the edges are neat. Rake up any grass (dead or thriving) and move onto weeding. The sooner you tackle this, the better. Don’t give them time to take hold. Adding bark chips can discourage weeds from returning. Once the garden is looking neat and tidy, you can move onto filling in the gaps with new plants. If you’re a low-maintenance gardener, then opt for plants that don’t need a lot of attention. GrowDirect has plenty of affordable options to help you get your garden (or back yard) looking fabulous for your party. Next move onto the patio. Again, start by raking and sweeping up after the winter. Remove leaves and other debris. Use a jet wash to clean the concrete. If you don’t have a lot of greenery, then consider adding a few colorful pots. Opt for plants that will flourish during this season. Now that the garden is taken care of, think about accessories such as fairy lights, outdoor candles and cushions. Have you thought of a theme? If so, make sure your accessories adhere to this. Rugs and beanbags are always useful as extra seating. Make a list of food and drink. Plan this in advance to allow you time to do the shopping and make preparations. If your party has a theme, then the food should be consistent. For example, if you’re throwing a traditional tea party then serve tea and cakes. If you have a Mediterranean theme, then shop accordingly. The problem with outdoor parties is that they depend on the weather. What will you do if it rains or snows? Create a plan B. Guests could always move into the house and you could hold the party there. Or, consider erecting a marquee for the event. This will allow your guests to remain outside without getting wet. To recap, plan ahead and make sure you leave yourself plenty of time. Tackle the garden first and then move onto the decorations. If you have a theme then keep this in mind when decorating and organizing food. Don’t forget spare seating and have a plan B in case of bad weather. All that remains is to enjoy the day. So many men and women want to rush into a relationship because they’re looking for security. In the modern day, even a 1 or 2-year relationship is still young and fresh. Several decades ago that’s all that was needed before marriage was put on the table. Not so now, because people live longer, we earn more money, we know what we want in life in terms of a career and life fulfillment, travelling etc. So things are now on the flip side, where relationships that take their time are the serious ones and those that only wait a couple of years before marriage and children are not. It's the polar opposite of every decade in the run-up to 2010. If you are still following the ABCs of relationships from way back when, you’re needlessly putting pressure on your partner. And in all honesty, it's our insecurities that make us want to push and push until we get an answer we like from them. Taking it slow and letting things fall into place is much better. Both men and women do things in relationships that cause them to falter and eventually become unworkable. If your partner is not giving signs that they want the relationship to end, then don’t push them into a corner. If they aren’t cold toward you and showing less and less interest in your life, then why would you have ‘the talk’ with them? Far too often, we can feel like the relationship isn’t going anywhere, but if it's not going backwards it's always moving forwards. You can’t tie a man or woman down against their will, only when they are ready will they voluntarily want to take it to the next step. Marriage and having children is no walk in the park, and asking someone who you can one day see having both of those things with, “where is this going?” is only going to push them away. Commitment cannot be forced on someone, it has to be voluntarily given. Most of the time, every couple wants their relationship to mature. This means both of you sort out the issues and challenges in your own lives before moving forward. This could mean figuring out what kind of career you want. It could mean paying off all your debt and becoming financially free. It could also mean your own emotional baggage. When these things have been taken care of, then we can move forward or at least show real signs that the relationship is maturing. But physical signs are often the most powerful, which is why promise rings are becoming more and more popular. They’re not quite an engagement ring, but it's a sign that you are on that path to eventually being proposed to and becoming a wife or husband. They come in both sexes as it's tradition to give each other the ring. Take it slow, and allow your relationship to mature naturally. We all want to have some kind of security in our lives and sharing it with someone we love is even more desired. Just be careful to not push your partner into deciding to marry or have kids when they haven’t brought up the conversation themselves. Money is, by all accounts, one of those things that you just never feel like you have quite enough of. At the same time, however, there are all kinds of things in life more valuable than money. Our personal well-being is one of those things. If you can go through life relatively happy and stress-free, you’re likely to have the envy of a large number of the people you meet on a daily basis, who haven’t yet cracked the secret. If, however, you could improve your own well-being while simultaneously saving a bit of money, that’d be the cherry on top, wouldn’t it? Here are a few tips for saving money and boosting your well-being at the same time. Research has found, consistently, that people who spend more time outdoors in nature are happier, healthier, and have a better overall experience of life, than those who either stay indoors or remain surrounded by concrete, glass and steel for the majority of their lives. In fact, one amazing study even found that people recovering in hospital would recover faster and maintain better spirits, if they could see a single tree from the window of their room. Nature is a big deal, and it seems to have a lot of power to improve our quality of life. Luckily enough, nature is also, for the most part, free. Regular exercise is another one of those lifestyle activities which has been shown time and time again to boost health, happiness, and energy. The logical conclusion here is pretty straightforward — cancel your gym membership and enjoy more of your workouts outdoors, in natural environments. Your local park can be a great option. Money management is probably one of the all-time leading causes of stress out there, and money mismanagement is without a doubt the leading cause of financial waste and economic misery. Anything that you could do which would enable you to handle your money, better, and with less stress, would have the potential to be a serious game-changer. Financial management apps are that game-changer. Personal budgeting software like YNAB can save you from spending your paycheck absentmindedly, while a good personal capital app can help you to invest wisely. This tip isn’t strictly for everyone, and it’s not necessary to get rid of all of your old outfits. Obviously you’ll likely have classic or useful clothes which you’ll want to hold on to. Nonetheless, however, selling your old outfits on eBay before buying new ones can free you from a mountain of stress and irritation, while also saving your bank account a lot of strain, for a couple of straightforward reasons. Firstly, selling your old outfits will limit the number of clothes you have at any one time, which will also reduce some of the anxiety that comes from struggling to choose what to wear. Secondly, selling your old outfits will help to raise money for your new ones, and you won’t just be caught in a constant consumer cycle. What are your go-to tips for saving money? Lots of women grow up with a detailed idea of how their wedding will look. They know the design of the dress they want. The color scheme has been set in stone for years. And there is often a scrapbook full of centerpiece ideas. Of course, not all girls want a big fairytale wedding. But would you be happy letting go of the reigns on this most important day of your life? Tastes and desires do change as we grow up. Each season, new ideas and designs come out that may excite us and influence our decisions about style. I like to think I keep on top of some of the latest trends. Perhaps I am even a trend setter in some respects. A wedding is a great opportunity to really flex those creative muscles. After all, we often choose our own rings, and write our own vows. There is so much to plan and organize that spending time designing every detail may actually be a little tough to do. Most brides need to find shortcuts. And some will hand over the planning to a friend or a professional. This avoids months of stress and hours of hassle. Most wedding plans start with inviting the guests. Personalized wedding invitations can be made to your requirements. But why not browse through a large catalogue of choices that you can select from to create what you want? It’s quicker, easier, and may even provide options you didn’t think of before. The same can be done with your hair style. By stepping back from the choices you’ve made in the past, you may be more open to some of the latest and innovative ideas from today. Use Pinterest and YouTube to explore what people are doing. Perhaps your chosen stylist has a portfolio with a style you could fall in love with? Decorating the wedding venue isn’t always possible for a bride to do herself. You may have input about color schemes and floral displays, but you’ll be busy getting dressed on the morning of your wedding. Someone else will have to finalize the decor. You might choose a trusted friend, or you may agree on a theme with the venue manager. Sometimes, we have to put some faith into other people to deliver. Weddings are so personal for the bride. We all want our own wedding to be absolutely perfect. This means designing it to our tastes and preferences. But sometimes the hassle and stress that brings just aren't worth it. Could you let someone else design your wedding? I remember when I was attending undergrad at Howard University (Bison YOU KNOW).... I was thousands of miles away from home, in a new city with a future ahead of building new relationships and on the journey of the beginning stages of starting my career. To be honest, I was not frightened at all, very excited to start this new venture in my life at one of the most prestigious HBCU's in the nation and to soon be able to call myself an alum and walk in the footsteps of greatness. I loved my undergrad (wouldn't change it for anything in the world) because it opened soooo many doors for me and taught me how to be independent, hardworking and resilient. I was involved heavily in my academic studies, a member of the marching band, year book committee and a member of Sigma Alpha Iota, International Music Fraternity for women. Being apart of different organizations and pledging definitely opened lots of doors for me. I gained a host of new and amazing people in my life and became apart of something greater than myself. Besides the civic duty that we did as a fraternity, one thing I definitely loves was walking across campus in my paraphernalia. There were so much cute Greek gear that you could get for events that it became my secret obsession. Greek U is an online resource that provides custom Greek apparel and accessories for sororities and fraternities for an affordable price. The company was founded at Univ. of California- Santa Barbara by a fellow fraternity member, so the company takes pride in creating products that are relatable to today's modern Greek member. While there were resources on campus for students transitioning into college and resources for internships, like many other institutions.... there was not enough. For TODAY'S modern college woman (because I graduated almost 10 years ago...) there are a plethora of online resources to help with transitioning from grade school to university life as well as giving you tools and tips to build confidence and more. Her Campus is an online resource for collegiate women that has a sole goal of empowering women through providing beauty, health, entertainment, DIY, and lifestyle content as well as providing many resources that the young college woman will definitely need. Her Campus was founded by 3 (then) Harvard undergraduate women and has since grown into a platform that not only gives back to other undergraduate women through their 10,000+ contributors (content written FOR YOU by women like YOU), but also has 350 campus chapters nationwide in ten countries. And for those of you looking to branch out into the world of journalism, media or fashion, the company prides itself on being a career launching point where members have been offered jobs and internships from some of the top magazines and newspapers in the world. I wish there was a resource like this back when I was in undergrad, but I am happy to know that for women (and men) in college today, there are so many resources available. Make sure you check out Her Campus today! Disclosure: This post is sponsored by Cars.com, but all thoughts and opinions are my own. Finding the right car can be challenging. Especially when there are so many dealerships (certified and off brand or well known and private owned), going with someone you can trust is like finding the perfect mate.... IT TAKES TIME. Well to help ease the process for you, your fairy God (father) mother is here to help the process a smooth ride. Cars.com is a well respected online service helping buyers and owners of cars navigate car ownership. The site helps to connect consumers with honest local dealers across the country by providing a wealth of information giving you all the tools you need to make informed decisions and have confidence when buying your next vehicle. You will find extensive reviews from consumers just like you, and the best part is nothing is sugar coated. They give it to you real and honest. You can also find how-to videos if you are a fixer upper and are very handy with tools, and great pricing and deals on vehicles. Most importantly since Cars.com is a well respected leader in the industry, most dealerships are willing to price match. SO WHAT'S NOT TO LOVE!! If you are in the market for a reliable and affordable vehicle, make sure you head to Cars.com. Cars.com helps shoppers buy, sell and service their vehicles.